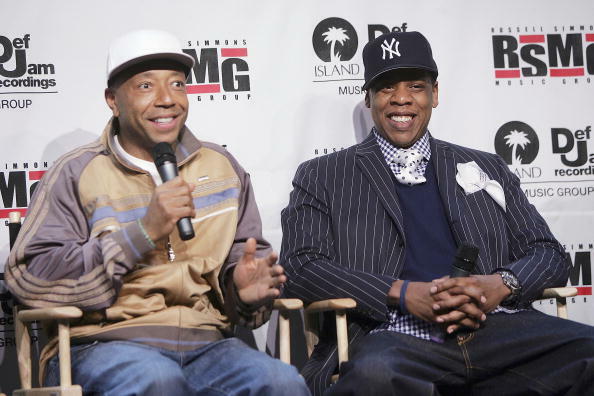 Russell Simmons is one of the most influential people in hip hop history. Over a career that has spanned more than three decades, the co-founder of Def Jam Records has been a central figure in the creation of the hip-hop genre as we know it today. At Def Jam, he discovered and promoted a number of early hip hop acts, including The Beastie Boys, LL Cool J and Public Enemy. He quickly grew into the first true hip-hop mogul thanks to incredibly successful side projects in a variety of industries. Simmons made his first major fortune when he sold his share of Def Jam Records for $100 million back in 1999. Today he is sitting on a personal bank account worth $325 million. How did Russell Simmons help turn an entire musical genre on its head, pave the way for today's artists and wannabe hip-hop moguls and earn a massive fortune for himself along the way? Focus, determination, hard work and incredible timing. And at his core, with every new project, Russell's foundations have always been solidly rooted in his original passion: Hip Hop. Simmons was born in 1957 and grew up in the Hollis area of Queens. He spent his teen years as a street hustler, and enrolled at CCNY-Harlem to study sociology. As a teenager and young adult, he put his social skills to work by promoting hip hop block parties and club shows around Queens and Harlem. That culminated in the creation of Rush Management in 1982, a fledgling record company, at least compared to what Def Jam would become. This was still in the formative years of hip hop, and Simmons made a conscious effort to keep this genre as its own, rebellious thing, not trying to conform to the standard pop scene of the late 70s and early 80s. It didn't hurt that Simmons had found some very marketable performers: Kurtis Blow, Run-D.M.C. (which included Simmons' younger brother Joseph), and LL Cool J all helped shape what would become Def Jam Records. In fact, LL Cool J recorded Def Jam's first single, "I Need a Beat." The label was formed in 1984, when Simmons met producer and punk rock enthusiast Rick Rubin. Their similarities were immediately evident–both wanted to create an aggressive, raw sound, one that was both rebellious to the norm but friendly to the streets. And they did just that by assembling a roster of creative, appealing rappers, including Slick Rick, Public Enemy, The Beastie Boys, 3rd Bass and Onyx. While that's all well and good, Simmons had his sights set for something bigger than just hip hop. In 1985 he turned the story of Def Jam's inception into a movie, Krush Groove. The movie received mixed reviews from critics, but its main purpose was to push Def Jam's lineup. It was praised by hip hop heads for that very reason. When Rubin left in 1988, Simmons became the sole leader of Def Jam. That year, the Run-D.M.C. blaxpoitation/spaghetti western movie Tougher Than Leather came out and again satisfied its goal of promoting artists on the label. In 1991, Simmons began the Def Jam Comedy Tour. The groundbreaking HBO series ran for seven years, and allowed some of the top names in stand-up comedy to perform uncensored material. Over the years, stars like Chris Rock, Martin Lawrence, Bernie Mac, Jamie Foxx, Steve Harvey, and D.L. Hughley took the stage, furthering Simmons' overall empire. With music, movies and now stand-up comedy, Simmons got his hands into multiple projects, reaching even more people and making Simmons (and his clientele) even more successful. But Simmons wasn't done yet. In 1992, he launched the successful men's clothing line Phat Farm. That resulted in a female counterpart, Baby Phat, which was overseen by Simmons' future wife Kimora Lee. He also made a return to film, producing a number of movies, including The Nutty Professor. That helped bring Eddie Murphy back into the public eye. Of course, it also made films like The Adventures of Pluto Nash and Norbit possible, but that's another story altogether. Simmons also kept the Def Jam train rolling throughout the 90s by pairing up with PolyGram. When Warren G's Regulate…The G Funk Era album went triple platinum, any thoughts of Def Jam slowing down were quickly erased. Simmons launched a hip hop lifestyle magazine called One World, and after continued success with artists like DMX, Foxy Brown, Ja Rule and Method Man, Simmons sold the remainder of his Def Jam share to Universal Music Group for $100 million in 1999. But Simmons has hardly been content since then. 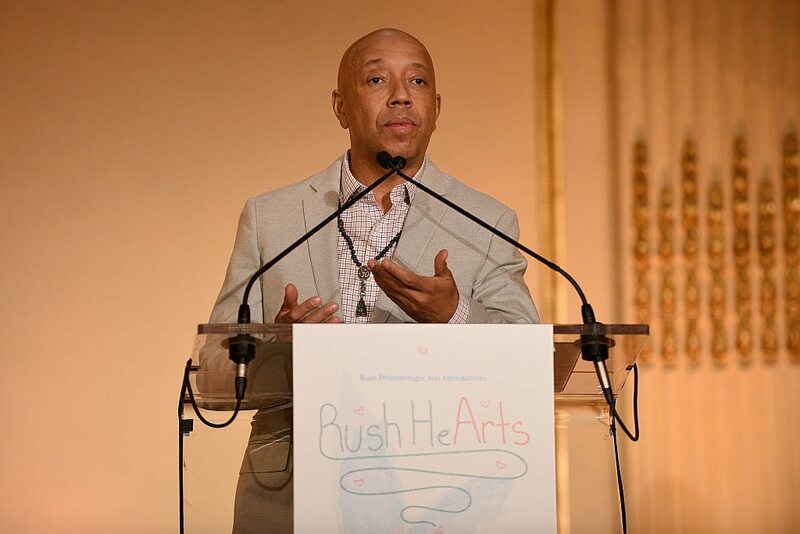 He's devoted more time to his philanthropic concerns, which he also helped found: the Hip Hop Summit Action Network, the Rush Philanthropic Organization and the Foundation for Ethnic Understanding. The Action Network in particular was a perfect representation of Simmons' vision: discussing responsible directions for hip hop to take in image and marketing. For example, when Pepsi ditched Ludacris as its spokesman in 2003 because of his "objectionable" lyrical content, Simmons called for a boycott of the soft drink, delighting hip hop fans and Coke-lovers alike. The move was a win for the Action Network, as Pepsi ultimately apologized and donated $5 million to Ludacris's charity. In 2004, Simmons sold Phat Farm for $140 million. He's also launched Argyleculture and American Classics, and has debuted some pieces for a Tantris yoga line. He's written a book that outlines his morals, namely having a strong work ethic and thinking big picture rather than just the short-term. By investing himself in a number of ventures, he saw what worked and what didn't, and always took some lesson from each business or product. Thanks to that mindset, he's now worth an estimated $325 million. Not too shabby for a college dropout. And not surprisingly, Simmons isn't showing any signs of slowing down! Which industry will he conquer next? Russell Simmons net worth and salary: Russell Simmons is an American record executive and entrepreneur who has a net worth of $340 million.